CEO & Director of MintHealth, Inc. Please join Family Office Insights for this luncheon on Tuesday, April 17th at 12PM. If you care to join us, please email: admin@familyofficeinsights.com. Family Office Insights sits down with Dr. Samir Damani, CEO & Director of MintHealth, Inc., to discuss the decentralized health platform-as-a-service (PaaS) that aligns health plans, provider groups, and wellness brands around patient engagement, improved clinical outcomes, and lower healthcare costs. MintHealth plans on raising $10-15M via a Reg D exempt pre-sale and currently exploring other regulated sales via JOBS act exemptions. I am the CEO and co-founder of MintHealth. I have extensive experience as both a clinician and technology entrepreneur. Prior to MintHealth, I was the founding CEO of MD Revolution (MDR), which has become the gold standard technology-enabled service platform for Medicare’s chronic care management (CCM) program. Under my leadership, the company raised over $43 million and now serves thousands of patients and providers across the U.S. MDR’s platform integrates patient generated data, electronic health records, and physician workflow for the purpose of optimizing population health management; and has demonstrated an over 5x ROI by reducing inpatient hospitalization claims in patients with multiple chronic conditions. I remain active as an MDR Board Member and provide executive oversight of MDR’s corporate strategy and clinical functions. In addition, I am on clinical faculty at the Department of Family & Preventive Medicine for the UC San Diego Medical School, and am a board-certified practicing cardiologist at Scripps Clinic. In addition to my medical training, I have a Doctorate in Pharmacy from the University of Georgia and a Masters in Clinical Investigation from the Scripps Research Institute. The Director of MintHealth is my friend and fellow physician-entrepreneur, Dr. Vishal Verma. Dr. Verma is a serial entrepreneur as well as a board-certified radiologist, and the CEO of NucleusHealth, an active leader in cloud medical data management and interpretation of complex medical images to speed diagnosis, and treatment planning. Under his leadership, NucleusHealth has grown nearly 5X since 2010 and now currently provides service to over 400 facilities for teleradiology and over 2400 facilities for cloud medical image management. His focus has been empowering patients with greater access and control of their healthcare journey by leveraging novel technologies like blockchain. After the CTO of NucleusHealth took second place in a Blockchain coding competition, Dr. Verma became interested in the space and how Blockchain could transform Healthcare. Together we realized that Blockchain was exactly the solution Healthcare needed to solve its long-standing issues. Blockchain technology solves problems surrounding engagement and empowerment of the patient, data liquidity, and security. For the first time, patients are able to have a global, holistic record of their medical data – giving them a self-sovereign health identity that they can use to control and seamlessly share their medical records with doctors, hospitals, urgent care, friends and family in a secure, permissible, HIPAA compliant environment. Who is the target audience for MintHealth? The core function of MintHealth is to reward consumers/patients in being proactive in their healthcare journey. Consequently, a primary focus surrounds the patient journey, especially if they suffer from chronic conditions such as Diabetes, Heart Disease, Stroke or Cancer. However, we see our ecosystem partners as critical in making MintHealth a mainstream, widely used platform in the Healthcare industry. The Patient is at the center of the MintHealth Platform while it’s target Customers are the stakeholders in the Healthcare Ecosystem. Most of the challenges surround adoption of new technologies by Patients and Providers. The U.S. healthcare sector alone is a $3.2 trillion per year industry, with a unique set of participants ranging from individual patients and small family practices to large not-for-profit organizations, health plans, hospital systems, and insurance companies. The industry is complex and historically slow-moving. See Section 3.1 of our whitepaper to see how we plan to combat those challenges. There are a number of blockchain companies focused on electronic health records. Very few incentivize healthy behaviors and none actually drive down the cost of healthcare. Most companies are focused on maintaining health records, and integrating lifestyle elements. Some, like HealthHeart, are trying to act as an EHR. MintHealth understands the practical realities of trying to replace deeply integrated legacy systems within a trillion dollar industry - which would likely require many years before seeing any widespread adoption of the platform and accompanying token. The MintHealth approach is to integrate with existing EHR's using a unique blockchain based platform, and easily enable patients to unlock the value of their personal health data and manage access to it with unprecedented security. One of MintHealth’s board members, Tee Green, is the founder of a prominent EHR company that touches 100 million patient lives. MintHealth is leveraging the data within these existing EHRs to improve patient health and solve the healthcare industry's largest problem - the rising costs of patient care. Another big difference is that the team at MintHealth doesn’t believe giving more information to a patient is enough to address patient apathy. This is why the gamification model with the VIDA token is compelling. MintHealth believes it is critical to provide adequate motivation to the patient to actually change and make lifestyle changes. By rewarding patients with VIDA token, patients have new motivation to pursue healthy behaviors. Healthy patients in turn lower costs for insurance companies, who will be the largest funding entity of the VIDA token economy. The company has created a model, that directly provides evidence, where insurance companies are motivated to purchase the VIDA token to drive down their costs. A third, perhaps most important, difference is the team. While the other companies have leaders with technical experience, MintHealth’s founders, executives, and advisors have deep healthcare, technical, and crypto experience. If you look at the teams of some other companies doing related projects, they lack a strong US healthcare background that MintHealth's team has. With clinical and technical expertise, MintHealth is uniquely equipped to understand the problems plaguing the healthcare sector. The team has deep and trusted relationships across insurance carriers, hospital groups, EHR vendors, and regional health systems. These relationships will become the distribution channels for the MintHealth platform and will drive adoption of the VIDA token. Due to the vast amount of resources spent to treat complications of behavioral-related conditions, despite the availability of technologies and processes to better engage patients when disease burden is low and the ability to prevent disease is high, an unsustainable rise in global healthcare costs and poor clinical outcomes has presented itself. Adding to the rise in costs and poor outcomes is the fact that clinical and behavioral information is locked within data silos inside healthcare organizations, unavailable to patients, clinicians, and researchers in ways that can leverage machine learning to personalize care and illuminate the drivers of disease and health. Blockchain technology helps solve existing healthcare challenges by enabling a self-sovereign, secure, and freely flowing health record. MintHealth will combine the self-sovereign record with a proven patient engagement platform, and a Vidamint Rewards (VIDA) token that incentivizes healthy behaviors. 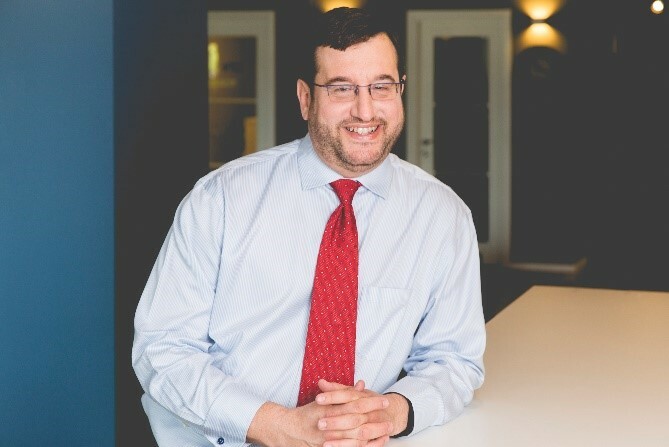 This approach to data liquidity and patient empowerment will move us into an era where clinical experience, patient data, and machine learning are leveraged synergistically to create novel insights, therapies, and services for engaging patients, improving their clinical outcomes, and controlling the relentless rise of chronic disease-related healthcare costs. In this crypto space there are different categories of crypto assets such as crypto currencies, crypto commodities, crypto utilities and crypto securities. With all the fake news and bad actors out there, especially in the Currencies, it’s a challenge to discover the legitimate investments that are solving real world problems. Our mission is to be strategic and compelling in building a platform that is mainstream and widely adopted in Healthcare. This requires strategic partnerships as well as investors that understand and are passionate about the problems we are working to solve for patients. We are not adapting to the future; we are building the ecosystem for the future of healthcare. Our ideal investment is “smart money” that wants to participate in this ecosystem and participate in the creation of transformative infrastructure. Although the investor does not have to be a stakeholder in the ecosystem, we appreciate investors that understand the value proposition and are willing to participate in the development of it. Other excellent investors for us are angel investors and/or investment groups that are focused on healthcare, and family offices that are looking for a way to invest in crypto assets in a way that’s meaningful, and/or, invest in healthcare in a different way than the pharma vertical. The overarching mission of MintHealth is to leverage blockchain technology to prevent chronic disease and by incentivizing patients to better manage their health and establish Vidamints as the gold standard incentive model for aligning healthcare stakeholders around patient empowerment, and improved clinical outcomes at lower cost. a. The Blockchain space is rapidly changing. At MintHealth, we view it as a necessity to adapt to these changes to achieve our Mission. An example of this is our novel dual token structure. The first part of this structure is MintHealth Vidamints™ (VIDA). VIDA will operate as the rewards and incentive system on the MintHealth platform where Patients will earn VIDA as a reward for completing healthy activities. Patients will then be able to redeem VIDA for rewards, such as co-pay reimbursements, lower insurance premiums and retail purchases for healthy goods and services in a similar fashion to frequent flier miles or other loyalty program point systems. The second part of the structure is MintHealth Security Tokens (MHST). The MHST token will entitle holders to i) a 10% royalty percentage of revenues generated through the sale of VIDA by MintHealth and ii) equity ownership in MintHealth. This structure provides a unique balance of participation in the Blockchain ecosystem growth as well as equity ownership stake in MintHealth as a company. In the next 30 days MHST will be a security token offered through a Regulation D private sale process. MintHealth is also exploring opportunities to offer MHST through regulatory compliant sale(s) via the JOBS Act exemptions. In addition to the exciting updates surrounding the token Structure, MintHealth will continue to travel to various conferences to grow the MintHealth Brand. MintHealth will also continue to forge relationships with some of the largest health systems nationally. Some of those partners in due diligence include ResMed, NewOcean, Mercy and more. Dr. Damani has extensive experience as both a clinician and technology entrepreneur. Prior to MintHealth, Damani was the founding CEO of MD Revolution (MDR) which has become the gold standard technology-enabled service platform for Medicare’s chronic care management (CCM) program. Under his leadership, the company raised over $43 million and now serves thousands of patients and providers across the U.S. MDR’s platform integrates patient generated data, electronic health records, and physician workflow for the purpose of optimizing population health management; and has demonstrated an over 5x ROI by reducing inpatient hospitalization claims in patients with multiple chronic conditions. Dr. Damani remains active as an MDR Board Member and provides executive oversight of MDR’s corporate strategy and clinical functions. In addition, Dr. Damani is on clinical faculty at the Department of Family & Preventive Medicine for the UC San Diego Medical School, and is a board-certified practicing cardiologist at Scripps Clinic. 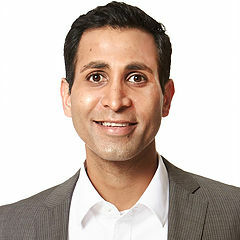 In addition to his medical training, Dr. Damani has a Doctorate in Pharmacy from the University of Georgia and a Masters in Clinical Investigation from the Scripps Research Institute. If you have any questions, please contact Samir at sdamani@minthealth.io.